The Pumpkin King - Rosebud Magazine Hydroponics Lifestyle Growing And Entertainment! A few years ago, I was surprised to see a newspaper photograph of a pumpkin so large it looked like it could crush me. As I soon discovered, there is a worldwide subculture of farmers and hobbyist gardeners who grow “giant” specimens of common fruits and vegetables. There are international associations and contests where “giant” growers compete for cash prizes and world records. These people are serious about growing the largest specimens ever seen, and their efforts have created plant genetics and cultivation techniques that yield truly massive fruits and veggies. We’re talking a 128-pound cabbage, 40-pound cantaloupe, an 8-pound tomato, a 25-foot tall sunflower, watermelons weighing way past 200 pounds, and giant pumpkins that have weighed in heavier than a ton! Most giant farmers use pretty much the same agricultural fertilizers, soils, and techniques as regular farmers and gardeners. But now there’s a small and increasingly important group of giant growers who use hydroponics nutrients and even hydroponics systems to grow their monster crops. Chris Kent with his 2010 world-record watermelon.Mark Clementz, a giant grower located in Michigan, is one of those new types of growers. He says he’s a “competitive guy” who doesn’t just like to grow giant crops and enter them in competitions. He wants to win! He also likes to have fun. Mark donned an Elvis disguise to make an eyepopping video showing how he uses hydroponics nutrients to grow his giant specimens. “I’m always looking for the most effective methods, materials, and strategies to get the edge for producing the best specimens,” Clementz says, explaining how he was intrigued when he heard that hydroponics nutrient company Advanced Nutrients uses scientists and field testing to make fertilizers and supplements that boost the size and quality of food crops and specialty medicinal plants. “I called their tech support and quizzed them about their products,” Clementz explained. “What I learned is that they have specific products that go way beyond regular fertilizers.” Clementz is now well into his first season using the full line of Advanced Nutrients products. 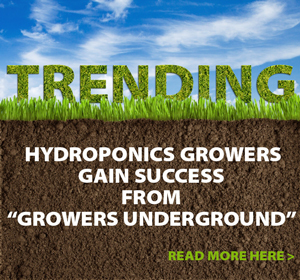 It’s a surprise to see hydroponics nutrients you usually only see in hydroponics stores and indoor gardening rooms when they’re in a video about outdoor giant growing. But Clementz says his outdoor giant farm is a perfect laboratory to measure the results of this new approach to feeding, because pumpkins, watermelons, and other giant crops grow so fast that it’s easy to measure how fertilizers affect crops. I’m looking at what Voodoo Juice did for my roots. I mean, this is the biggest root mass I’ve ever seen. Clementz is an international leader in the giant grower field. 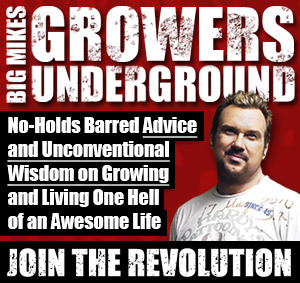 He has his own gardening organization, educational outreach, seed sales, and a website called worldwidegiantgrowers.com. He’s grown a 222-pound watermelon, a 4-pound tomato, and a 1479-pound pumpkin. When Clementz’s award-winning farmer friend Chris Kent heard about his success with Advanced Nutrients, he too decided to use the Advanced Nutrients program. 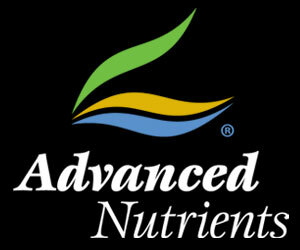 2013 is the first year he’s used the entire Advanced Nutrients line. It’s been a tough year for farmers in his area. Growers have been plagued by lack of sun, cool temperatures, “too much” rain, and other problems. Despite these severe deficits, Kent’s crops are doing way better than when he used regular feed programs, and way better than similar crops grown by other farmers in his same geographic area. What agricultural record is Chris hoping to break? The record he himself set in 2010 when he grew the biggest watermelon in the world for that year. It was 291 pounds! So big that David Letterman invited him and his watermelon to Manhattan to be on The Late Show With David Letterman. When I talked to Chris recently, before the season was over, he said it was obvious that the Advanced Nutrients’ products were making his crops grow faster and healthier. He feels he’s on track to out-produce his previous record results.